June 5 has been celebrated as World Environment Day focusing on the development of green-rich surroundings and also to fight against Global Warming and Climate Change. This year's theme is "Beat Plastic Pollution". Plastic products involve plastic bags, straws, water bottles, cups, food carriers and after a single use, these are thrown into the trash that are either discharged via sewage that finally reaches oceans causing damage to marine life. In another case, they are moved to dump yard, they could be eaten by livestock that harms them and when burned it pollutes the neighbouring areas, harmful dioxins are released which are toxic to humans and also releases more CO2. Plastic will not degrade easily on land, so it is actually buried and also the land cannot be used for any plant growth. People say Plastics should not be incinerated but actually, we can do it on a condition that the burning shall take place only at high temperature under proper emission control setup not under normal environmental conditions. Already, Plastic usage was banned in Kerala. 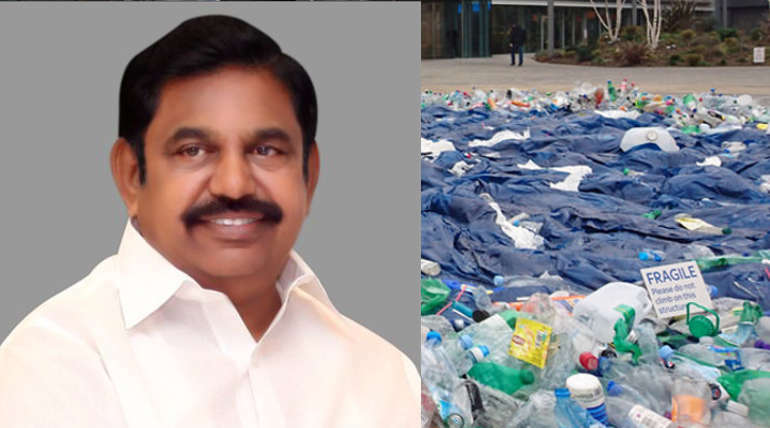 In Tamil Nadu, the ban announcement has come more recently on June 5 made by the honourable Chief Minister Edappadi K Palanisamy pointing out its harmful effects on human health and sanitation. He further added that plastics shall not be produced in Tamil Nadu and its usage is restricted to only certain products like Milk, Curd, Oil and Medicines. United Nations, in its recent report, stated that about 50 nations are taking action to reduce plastic pollution with China going to encourage the use of biodegradable bags. Alternatives for plastics bags are being used in the market but still, single-use plastics usage cannot be controlled in Tamil Nadu and major states of India.